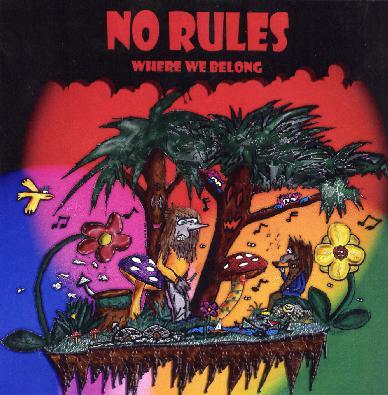 No Rules - "Where We Belong"
No Rules are a Swedish band from the small village of Kallinge. This is mainly the project of guitarist Tommy Magnusson, who plays all the guitar, bass and keyboards, and is joined by drummer Martin Nilsson and singer Olof Gustavsson. The band is very influenced by bands like Marillion, Saga, Journey, late period Camel and Asia. They cite other prog influences but these are the ones that I hear the most. I have very mixed views on the CD. Olof, the singer, sometimes sounds quite ok, and other times I think he just sounds awful and does not sing well. Ugh. Every now and then the band will get heavy, like on Who's Crying, and hear I can hear the 80's Black Sabbath influence perhaps. I do like that the band puts some samples in their tracks. If you like more commercial prog rock stuff then you might dig this but not sure you will like the vocals. Fantastic artwork on the CD. For more information you can visit the No Rules web site at: http://www.norulesmusic.com. Hear No Rules at their Myspace page at: http://www.myspace.com/norulesmusic.